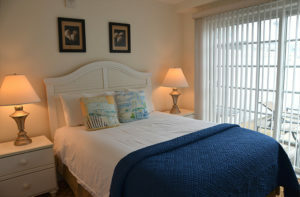 Two bedroom, one bath suite with one king size bed, one queen size bed, and living/dining area with a queen size sleeper sofa, full kitchen and a washer and dryer. 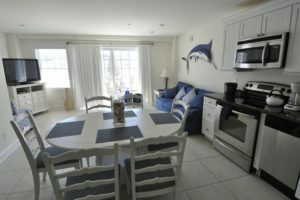 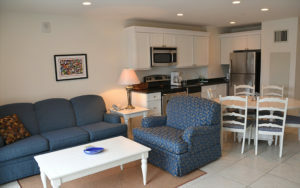 Suite is located on the 1st floor and has a private deck area. 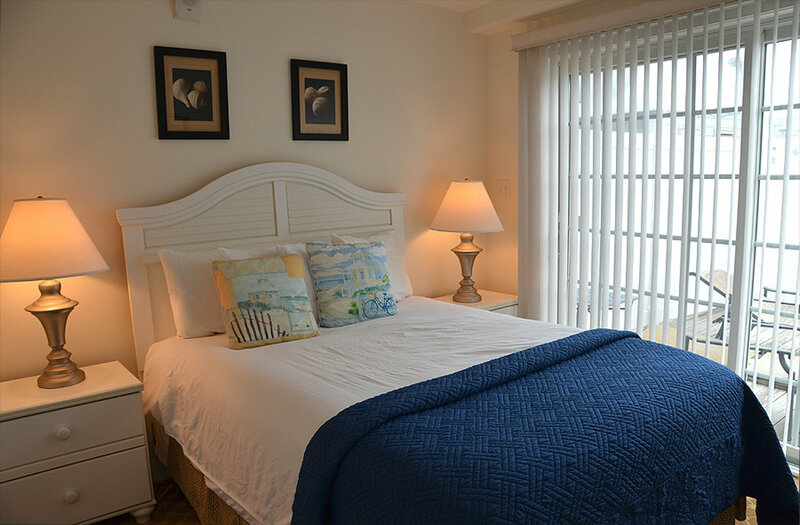 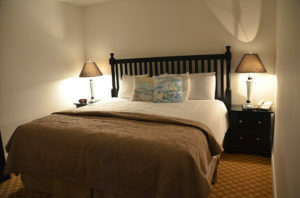 This suite will sleep 6 comfortably in approximately 1100 square feet.